Updated March 24: It will be available in three versions. 1: RTR with engine and radio. 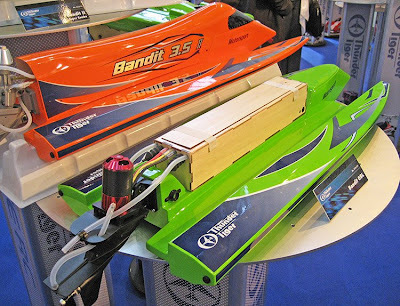 2: Boat & motor. 3: Just the boat. Thunder Tiger product link - HERE. Bandit II manual - HERE. 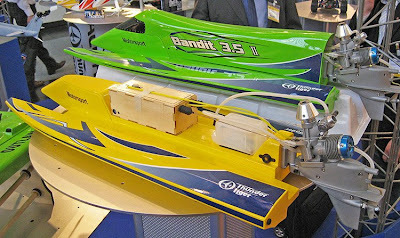 The tunnel of the new Bandit II. Hope it works better then the old one. That was'nt the best handling tunnel if you ask me... 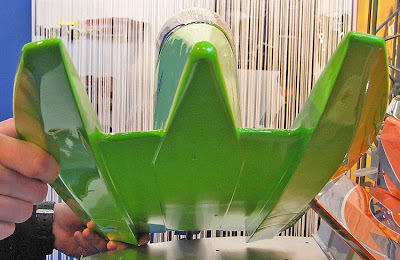 This green hull had quite a large "hook" on the sponson bottoms (concave shaped running surfaces) - sand them flat! 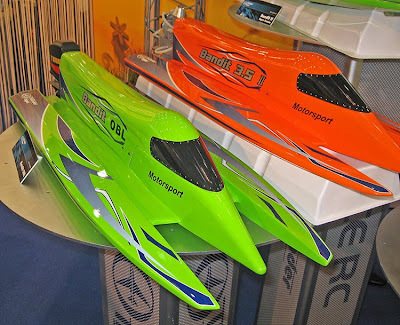 The green one is an new electric version. 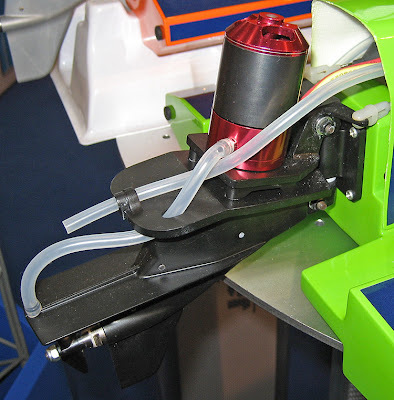 The familiar looking radiobox (think it will be changed to "plastic" before it goes into production). The cowl is hold in place with small magnets. 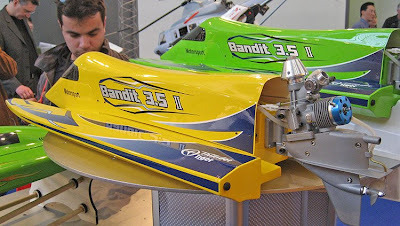 At the Nürnberg show TT showed their updated new 3.5 cc outboard tunnel hull called Bandit 3.5 II. Here's a shot of it from the back.